The Seed — What a Remarkable Package! Finish planting your cold-susceptible transplants like tomatoes, peppers, eggplant, cucumbers, and squash. Start harvesting your early crops like lettuce, spinach, etc. 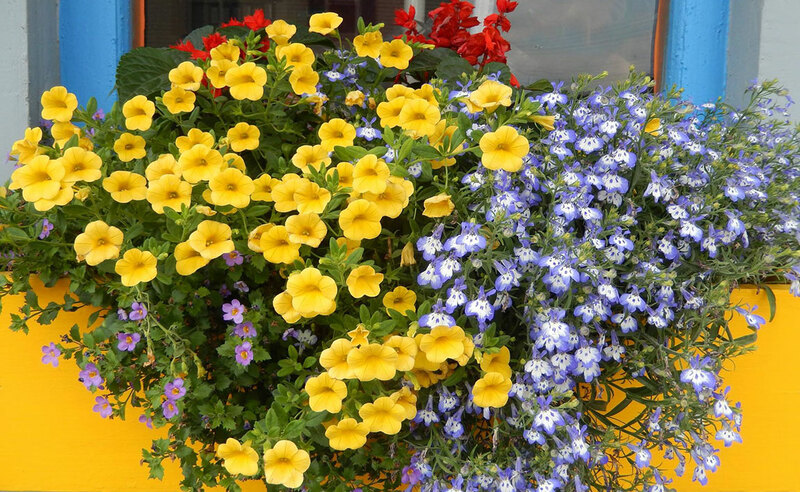 Fertilize annual flowers regularly during the summer to maintain growth. Plants should also receive at least an inch of water (rain or irrigation) each week. Dead head flowers to maintain flowering habit during the summer. 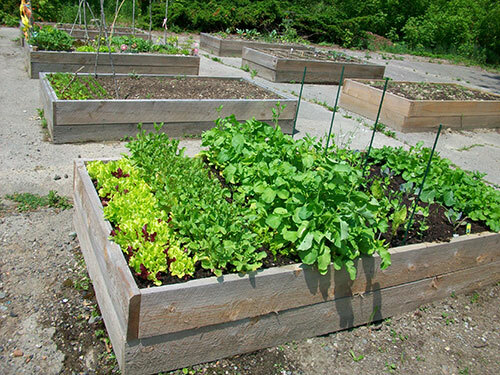 Consider succession planting of vegetables to assure a continuous supply of vegetables during the summer and fall. Try beans, beets, lettuce, radish or corn. 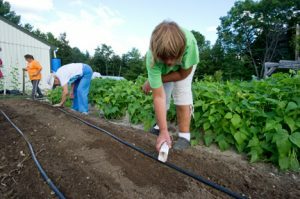 Install drip irrigation in your landscape. For more information, see Bulletin #2160, Trickle Irrigation: Using and Conserving Water in the Home Garden. 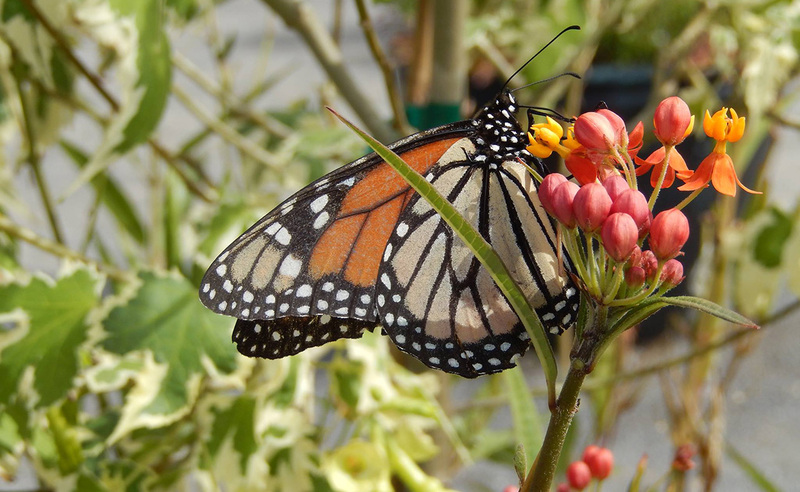 Check your vegetable and flower gardens for insect or disease pests at least once a week. Don’t know what is causing damage? Bring a sample into your local UMaine Extension county office or send us a digital picture of the problem. Keep weeds under control with tillage, hand picking, and mulching. 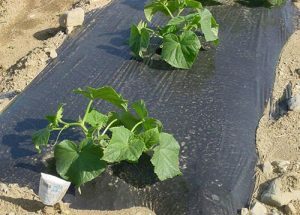 Sow bean, pumpkin, squash, cucumber, beet, spinach, carrot, lettuce, and pea seeds directly into your garden. Soil temperatures are now warm enough for a wide variety of seeds. Direct seeding plants is an easy and inexpensive way to grow a vegetable garden. Mulch gardens to improve moisture retention and reduce weed pressure. 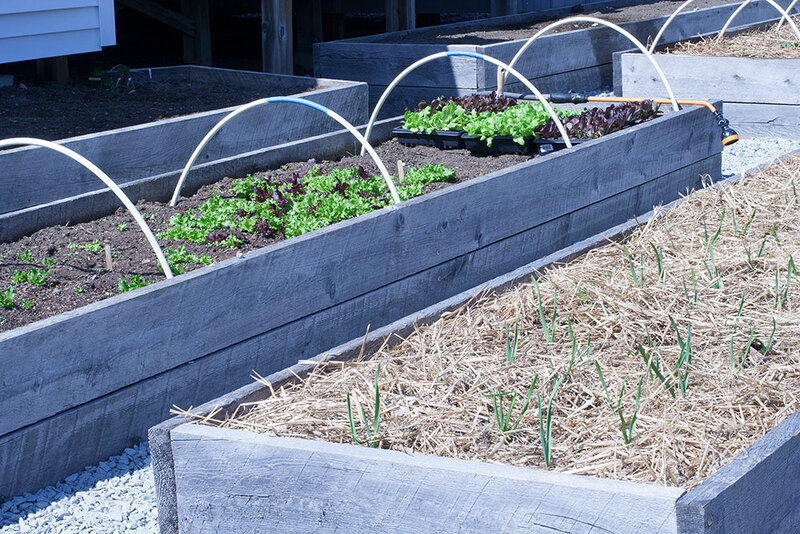 For more information, see Mulches for the Home Vegetable Garden from Virginia Cooperative Extension. Grow something you’ve never grown before. You may find something you really like: a tastier tomato, a more heat tolerant pansy, or maybe a more prolific variety of squash. Visit the All America Selections Display Garden at Rogers Farm to see the hottest new cultivars of ornamental and vegetable plants. 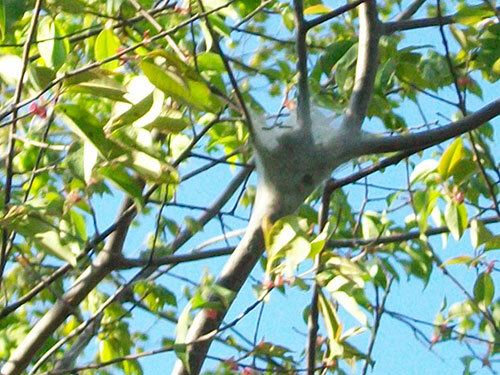 Look for Eastern tent caterpillars (Malacosoma americanum). The caterpillars overwinter in egg masses. Early spring (April/May) is a great time to control this insect; if you observe an egg mass, prune the branch out of the tree. This can often prove to be difficult because the egg masses can be camouflaged and very small. Another effective way to manage this insect is to knock down the developing nests when you first notice them (the earlier the better). Check out The Eastern Tent Caterpillar from the USDA Forest Service for useful information about the life cycle of tent caterpillars, host tree species, pictures, and more. Fertilize your lawn (if needed). Watch our video to learn how to care for your lawn in an environmentally friendly way. Clay is an extremely small size of mineral soil particle. Individual clay particles are so small that you would need a high-powered microscope to see them. Clay is an excellent component of soils because these tiny particles attract and hold a large amount of nutrients. However, when clay forms a large percentage of the total volume of soil, it makes the soil “heavy” and drains poorly. This “heaviness” makes the soil difficult to work with tools. Clay soil remains wet long into the spring and it does not hold enough oxygen to support good root growth. 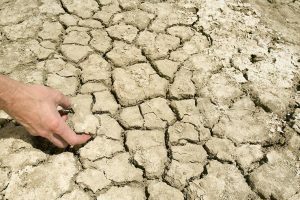 Is clay a “bad soil”? What problems does it present? Clay has excellent ability to hold nutrients for plant use. It also does not erode as readily as sandy soils. However, the fact that clay particles are very small means that the pore spaces that separate the particles are also very small. Water fills the pore spaces and does not drain away readily. The reduced water drainage means there is often very little air (including oxygen) in the pores. Because plant roots need both water and oxygen, they do not grow well in clay soils. In particular, vegetables must grow quickly and vigorously in order to produce a crop in our short summers; this is difficult in clay soil. Can I change my clay soil into a different kind of soil, like a loam? It would be nearly impossible to change a clay soil into a loam, because you would have to add enormous amounts of sharp sand to do so. Sand is very heavy, and incorporating it evenly into several inches of clay soil would be challenging, to say the least! Can I improve clay in my vegetable garden? You can improve a clay soil, but it takes many years and much work. The way to improve it is to make the tiny clay particles clump together into larger “aggregates.” In most soils (except pure sand), the soil particles are aggregated. When you dig in a garden with productive and well-aggregated soil, you may notice that the soil is “crumbly.” Crumbly aggregation is excellent in a garden, because the particles within the aggregates hold nutrients. The spaces within the aggregates hold water and the larger spaces between the aggregates allow excess water to drain away. The “glue” that holds soil particles together is highly decomposed organic matter. Vegetable gardens have open ground every year, which means you have an opportunity every year to incorporate organic matter. The addition of small amounts of organic matter over many years provides the “glue” that can make a clay soil be more productive. Adding undecomposed organic matter like straw, sawdust, and fresh plant residue does not immediately affect soil structure, and it can cause short-term problems with your vegetable crops, because those materials must decompose (compost) before they become effective “glue.” That composting process requires a lot of nitrogen to support the microorganisms that do the work and that process can tie up so much nitrogen that it competes with the vegetables you’re trying to grow. On the other hand, if you put those fresh materials into a compost bin and allow microorganisms to do their job there, you can then add the much more fully decomposed material to your soil, and you’ll be able to improve the soil structure without negative impacts. A second material you could add to garden soil is well-composted manure. Fresh manure needs to go through the same composting process that plant residue goes through. If manure smells or contains identifiable straw or other bedding, it’s not decomposed enough to add to your garden. You can also grow cover crops and incorporate them into the soil as green manure. Cover crops with deep taproots, like some clovers and radishes, help break up the clay in a heavy soil. Then, when they’re cut down and tilled into the soil, they break down fairly quickly to “glue” clay particles together into crumbly aggregates. The process of incorporating organic matter into clay soil is labor-intensive, and must be done repeatedly over the years to be fully effective. Spread the organic matter evenly over the soil and fork it in as deeply as possible when the soil is moist but not wet. 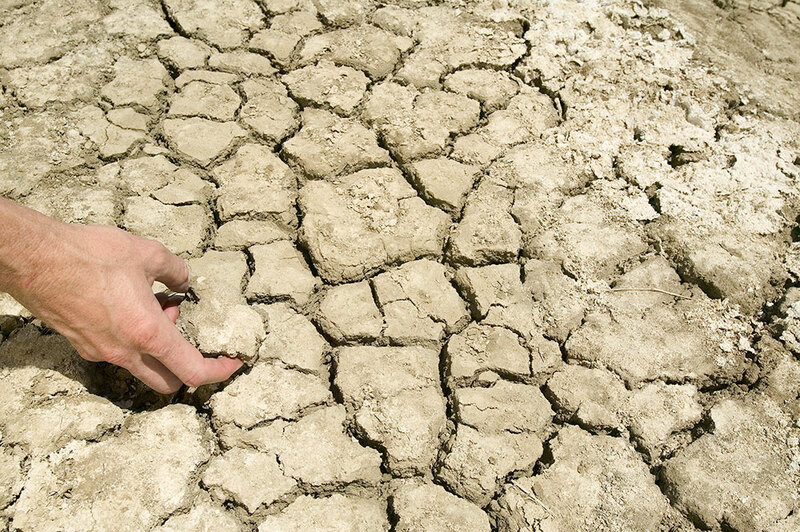 Disturbing wet clay produces large, hard clods that can take years to break apart. A fork is less damaging to clay soil than a spade or shovel. Also, avoid over-rototilling, which breaks apart the soil crumbs. 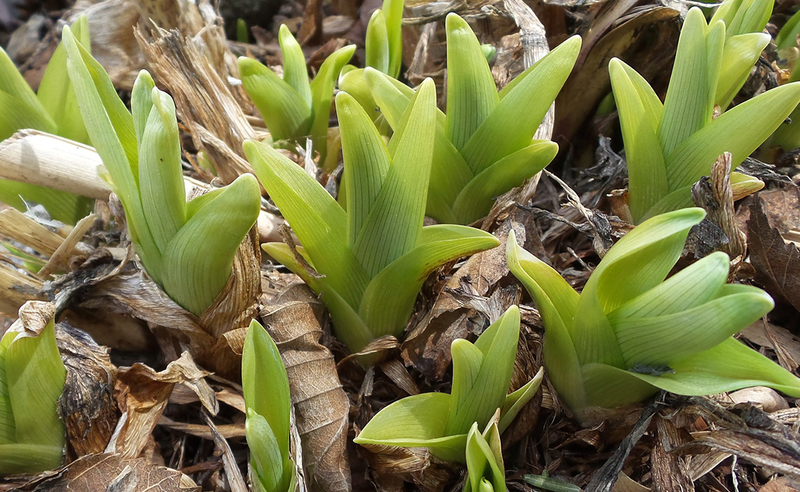 If you have clay soil and want to improve it, set a plan into place this growing season. Take a small sample (about 1 quart) of your soil and place it in a labeled zip-lock bag or coffee can. This is the soil that you will use to compare (by sight, smell, and touch) to your garden soil after you improve it year by year through additions of organic matter. Each autumn take a new sample and label it by the year. If desired, you could take photos of the soil for an added bit of information. You will be surprised by the improvement that organic matter makes to your garden soil. Your plants will reflect the difference as well. Nearly everyone is familiar with the story of John Chapman or “Johnny Appleseed,” born in 1774 in Leominster, Massachusetts, and how he took seeds from a cider press in Pennsylvania, washed them of the pomace, and transported them by canoe to later sow in the wilderness across the country. There are numerous stories and accounts of people in history who brought, spread, and used seeds to the benefit of others. Seeds have played an important role in human history. Have you ever stopped to wonder how these tiny packages of energy do their thing? Within a seed is an embryonic plant, the beginning of a new generation. Seeds are borne from two distinct plant classes: Gymnosperms (meaning naked seeds) and Angiosperms (vessels for seeds). Conifers or cone-bearing plants such as pine and hemlock are Gymnosperms as are cycads or palm-like plants. 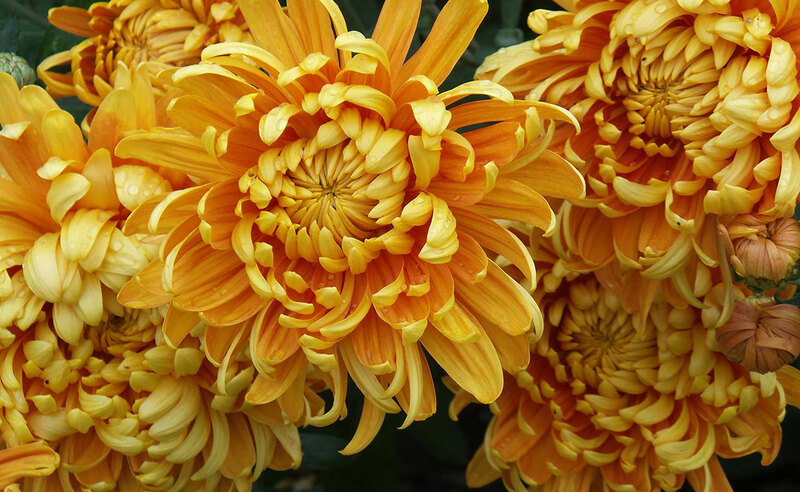 The seeds from Angiosperms are most common to home gardeners because that is typically what we buy, handle, and sow in our gardens to produce flowers, vegetables or herbs. They are flowering plants. Seeds come in all shapes and sizes depending on the species. Some seeds stay viable for a mere few hours (such as the willow) while others may remain viable for up to 300 years (Oriental Lotus). What a remarkable package! What triggers a seed to germinate? Adequate moisture, oxygen, and a suitable temperature must exist for germination. Some seeds require light in addition to these conditions to germinate. The process starts by water moving through the seed coat or coats into the embryo. The moisture causes swelling of the seed. The seed coat ruptures and growth begins. Where does the seed get its energy for growth? Foodstuffs stored in the endosperm or in the cotyledon (first leaves) provide the energy for the first growth before sunlight and photosynthesis takes over. When you start your seeds this spring or sow seeds in your gardens make the connection to the people and plants that came before us. By gardening, you are playing a part in the continuance of life. Wow! Have you ever reflected on that before? To learn more about seeds, saving seeds, and sowing seeds, inquire at your local library or perform an Internet search. An interesting reference on seeds, including a variety of articles, is Seeds: The Yearbook of Agriculture (PDF) from USDA. Pat Bears was raised by an English grandmother who fussed over flowers. 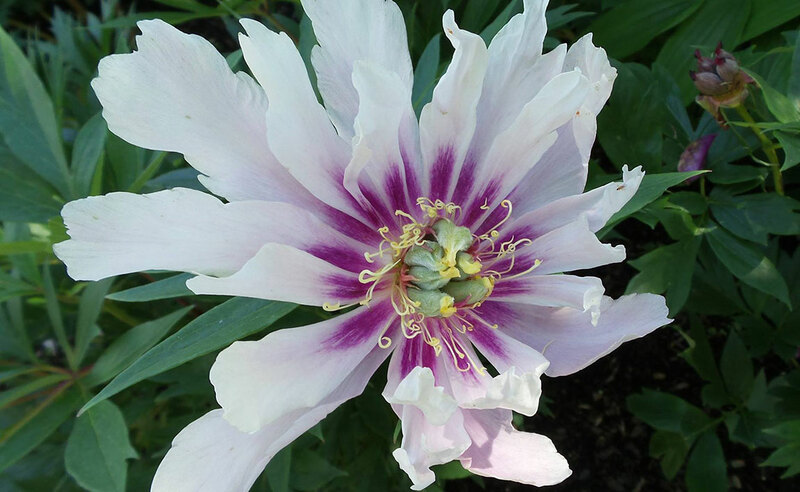 When she was growing up, special occasions were marked by gifts of peonies. The rambling Dorothy Perkins roses grown by her grandmother continue to be one of her favorites. 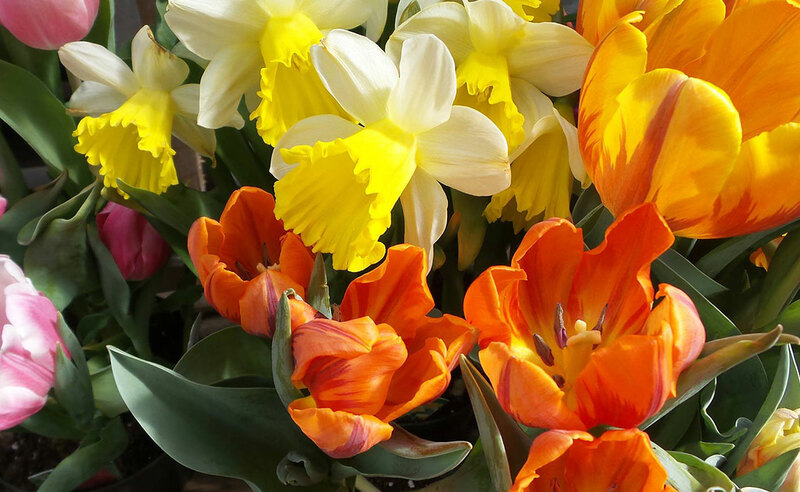 Happiness and gardening were intertwined. Pat grew up in the coastal town of Brooksville influenced by the presence of Scott and Helen Nearing and their philosophies of rural self-sufficiency and simple living. Garden gurus, Barbara Damrosch and Eliot Coleman further inspired Pat to connect community with food and gardening. When Pat’s children were young, they participated in Children’s International Summer Villages (CISV), a charitable, independent, non-political, volunteer organization promoting peace, education, and cross-cultural friendship. When Pat and her husband, Doug, hosted children from other cultures and countries in their home, they realized some of the vegetables they served were unfamiliar to their guests. 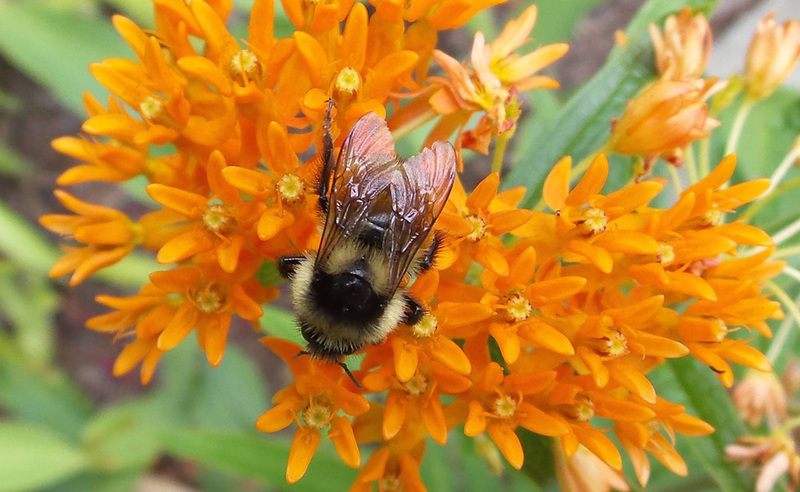 The idea for a demonstration garden was born. 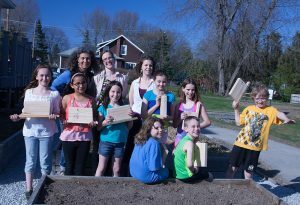 Host families throughout the region now use the CISV Garden located in Orono as a means of educating children about local food. In addition, the food harvested is donated to area homeless shelters. The CISV Garden is located near the Orono Senior Center where there’s an after-school program five days a week. Pat regularly interacted with the children in the after-school program who were interested in gardening the activities the CISV Garden. The gardens consist of six raised beds for growing vegetables, four beds for flowers, two smaller beds for herbs, two rain barrels, and several trellises for vertical growing. Food grown in this garden helps provide winter meals for Orono Seniors and educational opportunities for club kids throughout the year. 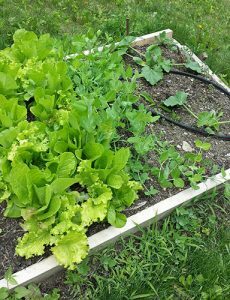 When I visited the Gardening and Cooking Club in early May, lettuces planted the previous fall were already growing robustly. 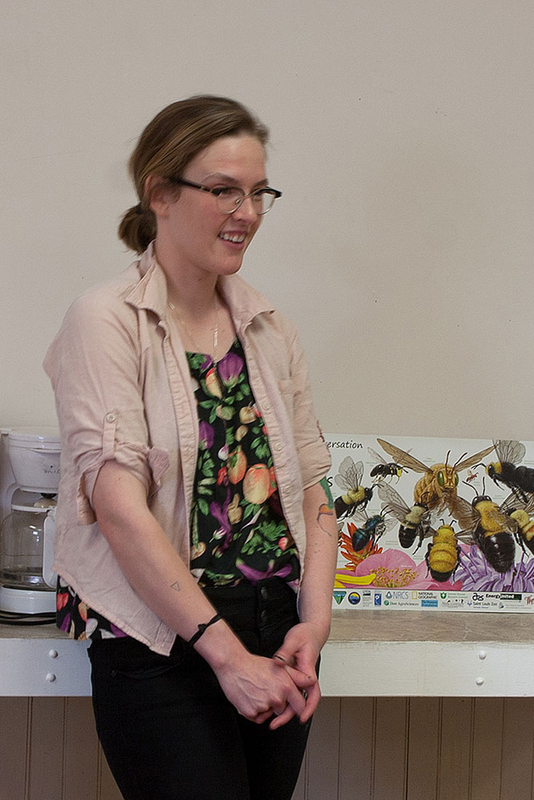 After-school snacks for the children were prepared by Alexis Mantis, a Sustainable Agriculture graduate student from the University of Maine who already has a degree in culinary arts. Students ate a noodle dish made with kale pesto. The kale and garlic in the pesto had been grown and harvested the previous fall by the students. Marge McCollough, a graduate student from the University of Maine Sustainable Agriculture Program, gave a lively presentation about pollinators with a focus on bees. GACC members had an opportunity to sample three kinds of honey on bread purchased from the Orono Farmers’ Market. Enthusiastic children chatted about the subtle differences in taste. 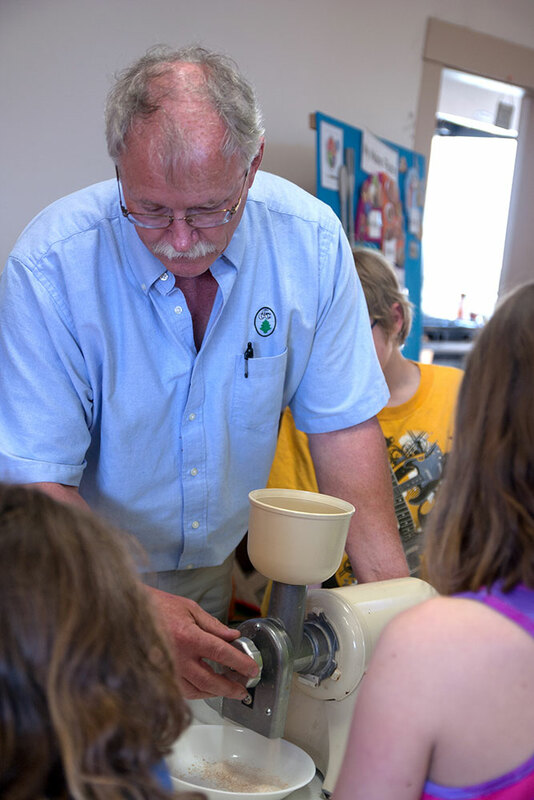 Following a discussion about the grains used in the bread they had just eaten, Pat’s husband, Doug, demonstrated how flour and corn meal is ground. The afternoon concluded with the children decorating bee boxes. They were already planning where to locate the boxes in their own backyards, excited to tell parents all about it! The GACC program ends the year with a family dinner celebration. It’s a fairly formal event that allow members to practice making a menu, setting a table, serving and clearing food, and preparing a meal. Foods come from the GACC garden and the local farmers’ market. Children take home a tomato plant (in a 5 gallon bucket) and various herbs and flowers — all started by themselves from seed — as well as a tie-dyed apron and t-shirt, a reusable shopping bag, and a recipe book filled with information and recipes they’ve used during the course of the year. Senior citizens, college students, the town parks and recreation program, members of the farmers’ market, children, their families, and the community have all profited from the Gardening and Cooking Club. Its popularity has not gone unnoticed. Pat has already been receiving inquiries from other communities who want to start similar programs. It’s a successful model to be emulated. 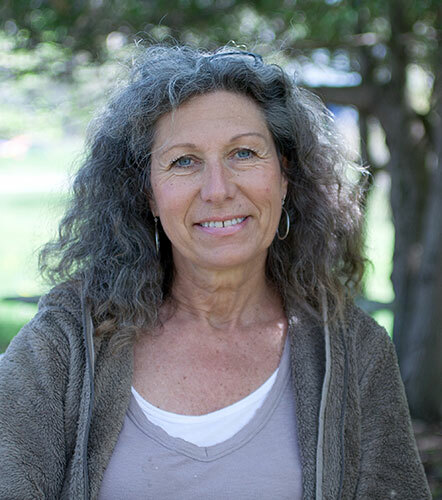 Pat Bears has given life to a sustainable approach of connecting the community with food and gardening. Her English grandmother would be pleased. Pat Bears can be reached at bears.patti@gmail.com. In Maine, the most commonly grown beans are green snap beans. Other common types are Italian green beans and purple wax beans. Beans are low in calories and are great sources of vitamins A, C, and K.
Beans are best when used right after harvest, but can be kept in the refrigerator for three to five days before use. If you are interested in freezing or canning green or yellow beans from your garden, review the UMaine Cooperative Extension Bulletin #4046, Let’s Preserve Snap Beans. Before cooking, wash green beans. Green beans can be cooked whole, cut in pieces, cut lengthwise (“French style”) or they can be cut diagonally. Boiling, steaming or microwaving are popular ways to cook beans. Stir-frying or sautéing will preserve the best qualities of the fresh bean. Boil for up to ten minutes. Steam in a vegetable steamer over boiling water for three to five minutes, or in the microwave for six to ten minutes. Stir-fry beans with other vegetables in a broth or a small amount of oil for only two to five minutes. Whichever cooking method you choose, remember to cook beans for the shortest amount of time possible, using the smallest amount of water possible. By using a small amount of water with techniques like steaming or using high heat and a small amount of oil, you keep the most vitamins and minerals in the beans. Go ahead and try new cooking methods to find the way you and your family like to eat green beans — you might even find that you like raw green beans the best! Adapted from: University of Maine Cooperative Extension. 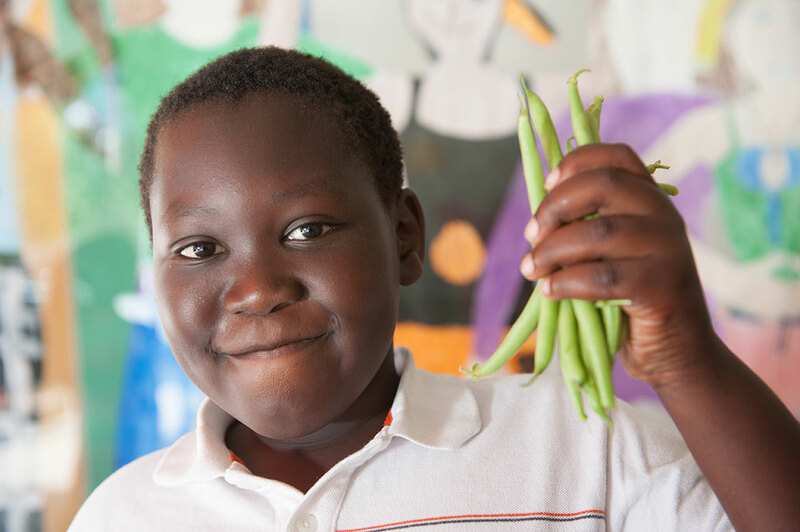 Bulletin #4255, Vegetables and Fruits for Health: Green Beans and Wax Beans. 2009. Available at http://umaine.edu/publications/4255e/. 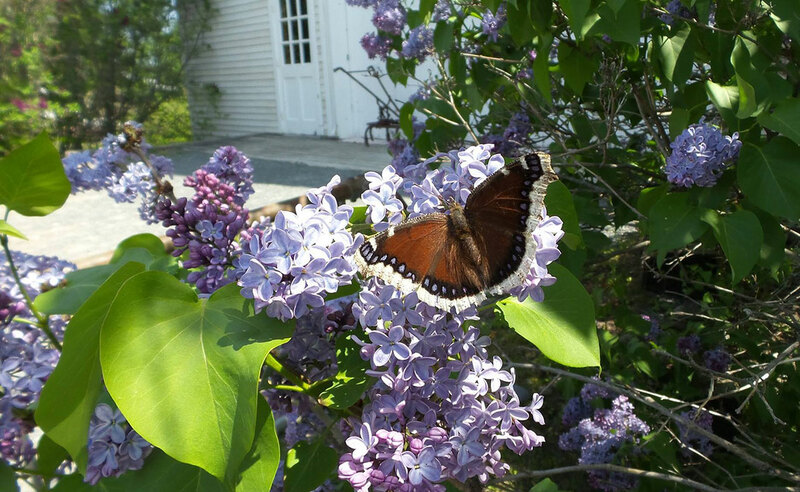 For more information or questions, contact Lois Elwell at lois.elwell@maine.edu or 1.800.287.1471 (in Maine).